Established in 403 H, and it lies at the end of Al Moez Le Din Allah Steet in the reign of Al Aziz, the second Fatimid caliph. The mosque was built outside the gates of Cairo in front of Bab Al Fotouh. In Badr Al Gamali reign it was enlarged and becam within Cairo gates. The mosque has since then been used as a warehouse and an elementary school before being reconverted into a mosque in 1980. 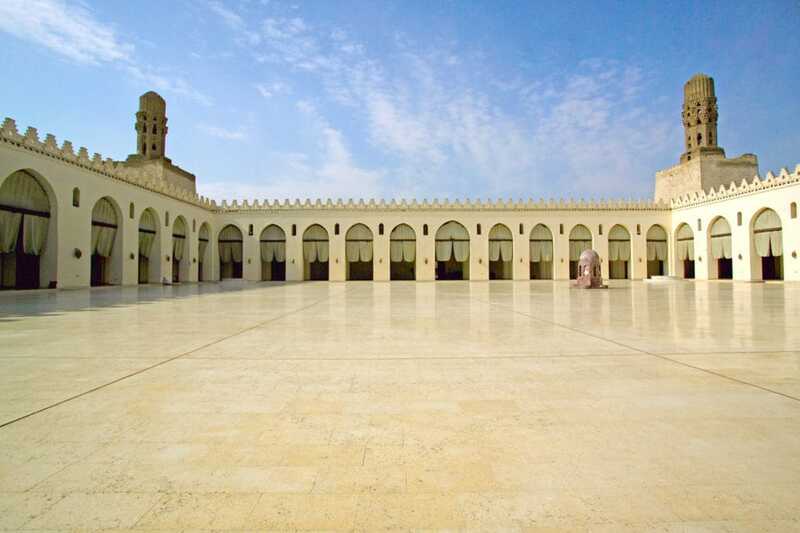 The sanctuary’s most impressive features are its minarets, the oldest “surviving” minarets of all Cairo, and the mosque’s spectacular entrance resembling a propylon which is more of an Ancient Egyptian architectural feature.